PEEPS is all about loneliness that hits you when you least expect it. 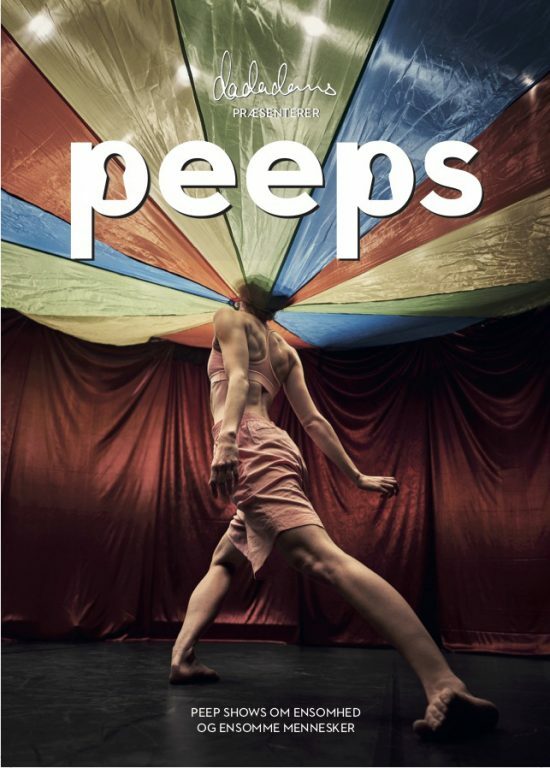 PEEPS invites the audience into a live installation consisting of peep shows with 5 dancers and actors and even more angles on being involuntary alone. 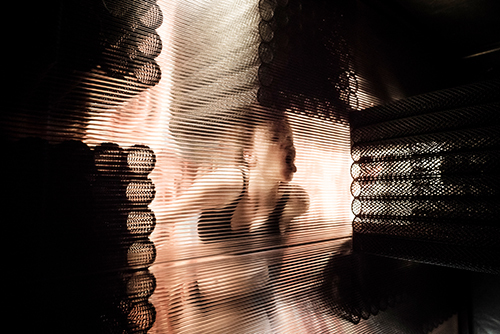 At close range and completely unobtrusive, the spectator is invited to peek into intimate spaces filled with embarrassing and unmentionable feelings like emptiness, despair and desperation. Rooms inhabited by individuals bravely struggling in solitude against isolation. PEEPS is both a performance and an installation. 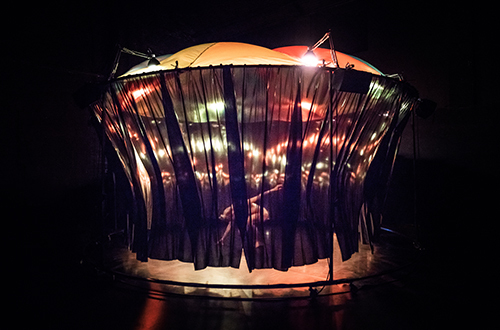 The audience moves around individually between the different spaces and peepshows that make the world of PEEPS – completely free and random, yet guided by light, sound and physical activity, inviting to search out the next empty and lonely univers. PEEPS gives the spectator a strong emotional experience as they move around between the different faces of loneliness. Loneliness is often invisible – it’s difficult to recognize if people we cross in the street are lonely. 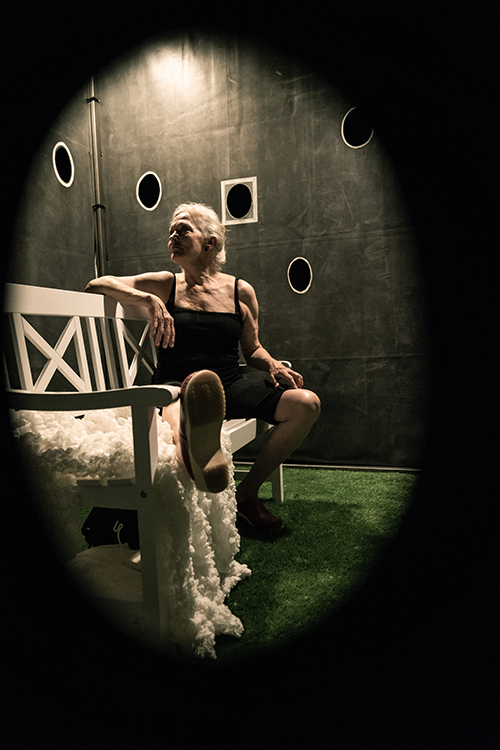 PEEPS goes behind the facade and shares the intimate experience of loneliness. The performance and installation takes the loneliness that can affect us all, when we least expect it, seriously. PEEPS is a co-production between dadadans, Bora Bora and Dansehallerne. 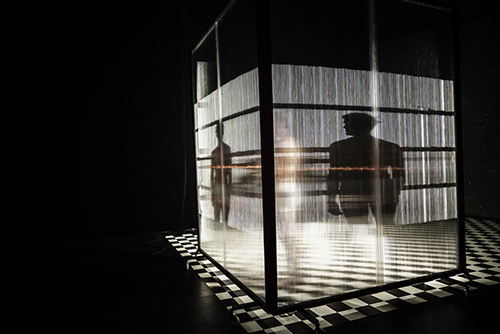 It is supported by the Danish Arts Council, Aarhus Municipality, and Beckett-Fonden. DADADANS-PEEPS_trailer_LONG from dadadans on Vimeo.